Image and additional information courtesy of Florence. Born: 21st December 1893, Malton, Yorkshire. Baptised same day as his brother John: 2nd May 1894, Malton, Yorkshire. Parents: Mary & Oliver Driver. Died: 26th March 1918; age 24; Killed in an aerial combat being outnumbered 5 to 1 with German machines, during the big battle in front of Amiens (at the time his squadron was flying low over trenches). Percy was shot through the heart while most gallantly defending himself, and saving the life of his pilot, Captain Turner, who was wounded through the foot. Regiment: Royal Flying Corps, 27th Squadron. Brother to JOHN WADDINGTON DRIVER. 1901 86, Goodrich Road, Dulwich Common, Camberwell, Surrey. Percy was 7 years old and living with his parents & brother. Oliver Driver, 34, an Inspector – R.S.P.C.A., born Morley, Yorkshire. Mary Agnes Driver (nee Dixon), 30, born Morley. John Waddington Driver, 11, born Morley. 1911 3, Cecilla Street, Ipswich. Percy was 17, a Timber Merchants Clerk. Along with his brother he was a boarder at the home of 34 year old, Tram Conductor, Arthur Morris Pike. John Driver, 21, a Tram Conductor – Ipswich Corporation. 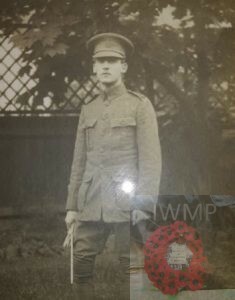 Percy’s father, Oliver Driver died 1919, Ipswich. Probate to Mary Agnes Dixon Driver (wife of Oliver Driver) – mother. Soldiers’ Effects to Mary Agnes Dixon Driver – mother. Percy played in 4 cricket matches for Suffolk in the Minor Counties Championship in 1913 – 1914. A transcripts of three letters about the death of Percy Driver, who worked at William Brown & Co. before he went off to the First World War. I presume Miss Crocker was either a sweetheart or a dear friend of Percy’s. I believe Percy was first in the army and then in the Royal Flying Corps. A large photo of him hung in the Board Room at William Brown & Co for a long time, and eventually it was given to my mother. I also enclose his photograph and a picture of the brass plate on the frame. As Commanding Officer of the squadron in which your son was, I wish to express my heartfelt sympathy with you in your loss. Your son was killed in an air combat with several German machines, being shot while most gallantly defending himself and his pilot. The pilot, Captain Turner, who was wounded, told me how your son most certainly saved his life by the gallant way in which he carried on to the end against great odds. I have only been commanding this squadron for a few weeks, but from the report I received from my predecessor and from my own personal knowledge of your son, there is no doubt that he was not only the stoutest hearted and best of observers but a most popular officer who was admired, respected and most greatly liked by all his brother officers. I cannot say more than to assure you of the real sympathy we all feel for you, and we ourselves most fully realise that we have lost one of our best and most gallant officers and gentlemen. Your son’s kit etc is being sent to the base. If there are any further questions you would like to have answered, a word to me will be answered at once as I should so like to be to you of what little help I can. I was more sorry that I can tell you to read the sad news of your son. He had become the right hand man in the office of (William) Brown & Co. and I felt sure he would do great things in the Army. I shall never forget him as long as I live and it is a very sad thought to me that he has been killed, as I had a great personal liking for him and hoped that he would return to the business after the War. When one who is so much esteemed is lost, it tells us how great the Mother’s loss is. In your great sorrow I hope it may be some comfort to you to think how universal is the regret of all who knew your gallant son, and in memory of him I enclose a cheque for £10. 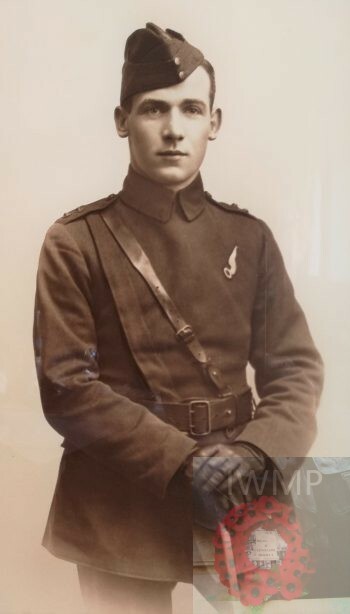 Percy Driver was killed in aerial combat with several German machines during the big battle in front of Amiens. At the time this squadron was flying low over the trenches and his machine was apparently attacked by four or five enemy ones. Lieut. Driver behaved most splendidly and although outnumbered by 5 to 1, he put up a most gallant fight, drawing off four of them until he was shot through the heart. He undoubtedly saved the life of his pilot, who was wounded through the foot, and who managed to land the machine behind our lines. I am not at all overstating the opinion of each one of us, and all who ever knew him. 1 Pings/Trackbacks for "PERCY SCOTT DRIVER"